A number of key leadership roles remain unfilled at the Justice Department, which could undermine the Trump administration's national security and "law and order" priorities. The Civil Rights Division, the Civil Division, the Environment and Natural Resources Division and the Tax Division are now being run by career lawyers or temporary White House appointees. Acting leaders are also in place at the Drug Enforcement Administration; the Bureau of Alcohol, Tobacco, Firearms & Explosives; the U.S. Marshals Service; and the Community Relations Service. 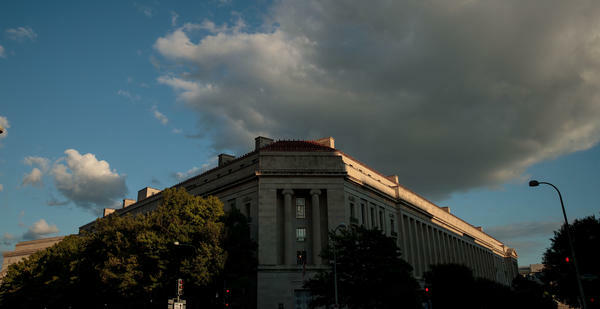 "I'm not aware of any precedent for so many key positions in DOJ and its affiliated agencies remaining vacant for so long at the beginning of an administration," said former Justice Department Inspector General Michael Bromwich. "Vacancies impair the smooth and effective functioning of DOJ. Temporary leaders of litigating divisions and law enforcement agencies don't feel fully empowered to lead; important decisions don't get made; lower-level — but important — personnel decisions are put on hold; morale among career personnel declines," Bromwich said. "It's not a recipe for good government." The White House has nominated people for many of the vacancies, but the Senate recessed in December without acting on the nomination of Boeing lawyer John Demers to lead the national security division and without voting on Brian Benczkowski, a DOJ official from the George W. Bush years, to run the criminal division. Also left hanging were Eric Dreiband, the Trump pick to run the civil rights division, and Jeffrey Clark, a lawyer in line to lead the Environment and Natural Resources Division. There's no single reason for the delays. Kentucky Republican Sen. Rand Paul had expressed reservations about the national security nominee's support of a controversial surveillance program, The Daily Beast reported. Several Democrats questioned the criminal division candidate, who had also been a finalist to serve as deputy attorney general, about his limited legal work for a Russian bank. In other cases, the White House was slow to submit paperwork for its picks. Several of the nominees in limbo attended Attorney General Jeff Sessions' Dec. 15 Christmas party at the Justice Department, where they mingled but declined to comment to a reporter while their nominations remained on hold. Justice Department spokeswoman Sarah Isgur Flores said when the Senate returns this month, members will take up at least some of the backlog: Trump's national security nominee, 10 candidates to serve as U.S. attorneys, and several more people in line to become U.S. marshals will be pending. Other nominees left hanging will have to redo their questionnaires and potentially submit to new questions from senators. The delays don't seem to bother former Justice Department lawyer Rory Little, now a law professor at the University of California, Hastings. Having career employees in place of political appointees isn't necessarily a bad thing, he suggested. And Cato Institute Senior Fellow Julian Sanchez pointed out the current Justice Department team has mostly ignored tweets from President Trump bashing the department or the FBI for failing to investigate his political opponent, Hillary Clinton, and her aides. In other words, an absence of Senate-confirmed leaders doesn't mean the Justice Department can't conduct its business or is bowing to political pressure from Trump about what to do or not to do. But the openings at the top of the department can have consequences for the department's direction and priorities, according to Julie Zebrak, who worked at DOJ as a career lawyer for 18 years. Interim, fill-in leaders unsure of how long they will be in their jobs can never act with the same kind of authority as Senate-confirmed ones, she said.